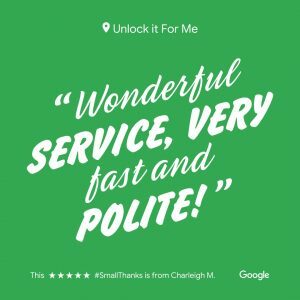 UnlockItForMe can have a trained locksmith technician to your location in as little as 15-30 minutes to quickly get your home or vehicle unlocked for a low flat rate without any damage. We also cut and program car keys! HAVE YOU LOCKED KEYS IN YOUR HOME OR CAR? UnlockItForMe is a Professional Alabama Locksmith. Being locked out of your home or automobile can be very frustrating. Don’t let it ruin your day! We’re here to help! You don’t have to spend hours looking for a locksmith, or waiting on one to show up. Our professionally trained & state licensed locksmith technicians are just what you need! We’ll arrive quickly and unlock your home or vehicle without damaging your paint, glass or locks. Oh and you probably don’t want to be stuck with an outrageous bill to pay just for getting your car open right ? Our car door unlocking service is affordable. We can unlock all makes & models with ease, and we are always willing to work with our customers on the price. If you can't find the keys, we can make you new ones! That's right! We cut keys for home, auto and more! Unlock It For Me can do just that, We can unlock it for you. Quickly , professionally and for a fair price. We can make you a key if you lost your original one. Unlock It For Me helps people everyday that have been locked out of their homes. We can often open the lock with no damage and have you back to your life. UnlockitForMe can duplicate or originate keys for almost anything. Not sure if we can? Call and ask! We utilize the latest tech in key cutting services. Keys on the wrong side of the locked door? Let us help. There is no need to damage the door. We can unlock nearly all doors. From houses and apartments to cars and trucks. Our team of professional locksmiths can get you back in with care. Don't damage your property on a misguided DIY. 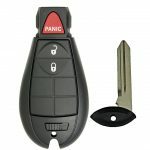 In addition to our car door unlocking services, we can cut and program a spare or duplicate key. In fact, we stock common keys and remotes. Therefore you can consider us your one-stop shop. We can handle smart keys and keyless entry fobs, and much more. 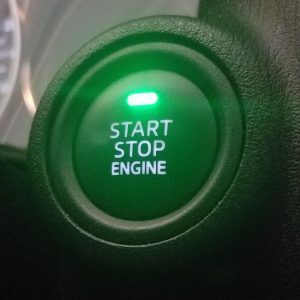 Don't overpay for lost car key replacement. Being locked out of your home or automobile can be very frustrating. Lost or stolen car keys can't halt your plans. Don’t let it ruin your day! Unlock It For Me is here to help! You don’t have to spend hours looking for a locksmith, or waiting on one to show up. Our professionally trained & state licensed locksmith technicians are just what you need! We’ll arrive quickly and unlock your home or vehicle without damaging your paint, glass or locks. Oh and you probably don’t want to be stuck with an outrageous bill to pay just for getting your car open right ? Our car door unlocking service is affordable. We can unlock all makes & models with ease, and we are always willing to work with our customers on the price. 24 Hour locksmith service is without the high prices you expect from after hours service. Our locksmiths care about the communities they work in. Our mission is to assist, never take advantage of any customer. Need locksmiths to key your locks alike? Got you covered. Want to upgrade to the added convenience of smart locks and home access control systems? We're there. Give us a call to discuss your needs today. We install high-security locks, keypads, and coded entry locks. Just want some basic locks? We do that too. Did you know that common criminals can buy special keys to common residential locks online? These keys can be used as tools which bypass many low end and even some higher end residential lock sets. Let us assess your home security needs. Installing high security locks adds a measure of certainty that your home is not tampered with while you are away. Unlock it For Me is poised to solve your lock and key needs. Honest and affordable Alabama locksmith services for your home are just a call away. 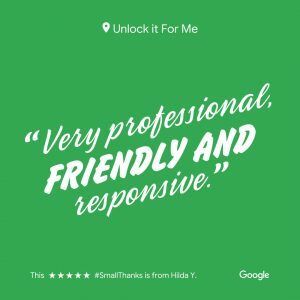 UnlockItForMe - PROFESSIONAL AND DEPENDABLE LOCKSMITH SERVICE. RIGHT HERE IN ALABAMA. With locations in Birmingham, Hoover, Auburn and Huntsville you can count on speedy locksmith services – Unlock It For Me will be there to help you. Our team of trained locksmiths offer fast and reliable service at a fair price. Our employees are licensed and insured. It happens all too often. The door slams shut. As it latches you realize what just happened. You shut the door with the keys inside, and you are now locked out. There are a number of ways to proceed. The one with the true lowest cost is to hire a locksmith. Free help from a friend could cost hundreds of dollars in paint damages. Don't trust car door unlocking to just anyone. Crude tools used by amateurs can break off inside your locks and cause further issues. The end result can be a much more expensive problem than it should be if you don't call a professional locksmith. 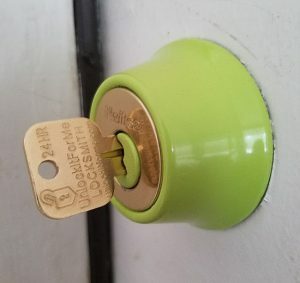 Unfortunately, we've probably seen thousands of dollars worth of "DIY Damages" in which case our locksmiths still ended up proceeding with the lockout service after they failed to gain entry. UnlockItForMe is a professional Alabama Locksmith service. Proceed with confidence. We'll help. In case you were unaware! UnlockItForMe also provides key duplication services. Locksmiths are available 24 hours a day for car keys and remotes . If you are stuck with lost keys and aren't sure what to do, give us a call. Our locksmith service is easy and honest. 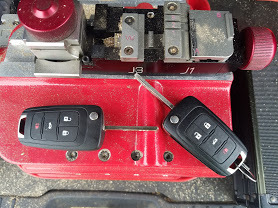 Moreover, the cost of a locksmith for lost car key replacement service often pales in comparison to the price of towing to the dealership coupled with the costs of parts and service upon arrival. 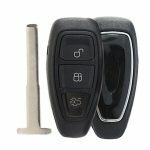 Car keys, smart keys, remotes, and much more are available for delivery to your home with a professional licensed Alabama locksmith at your service. Keys are cut at your location and we ensure proper operation and successful programming before you are charged. Y'all give us a call to discuss how we can service your lock and key needs. We're here 24|7. Go Ahead! Normal business hours are fantastic. However, problems and issues are apt to occur round the clock. Honest issues arise at times of day when honest locksmith service can be difficult to locate. UnlockItForMe is proud to offer round the clock services at our Auburn, Birmingham, and Huntsville locations. Keys broke off inside of a lock, damaged car keys, stolen purses, and key chains left in the taxi. We're here to help when lock and keys become hassle and headache. Just pick up the phone and lay down your worries! Our services are on demand and we come directly to you and get to work. Replacing lost keys is painless. Securing your business after a turnover is hassle-free. We can install high-security locks which will prevent employees and other key holders from unauthorized key duplication. In this digital age, the acquisition of a duplicate key can be simple. We stock and sell car keys and remotes. 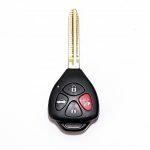 For the customer who has already purchased a car key or remote via an online retailer we also offer key cutting service as well as transponder key programming. Most modern keys require advanced diagnostic equipment to enable access to the immobilizer. The staff at UnlockItForMe are trained locksmiths and ready to assist you with the programming and cutting of your car keys. You've already gotten a great deal on a remote. Don't overpay for the service you need. On location services are available where we come to you. If you prefer you can schedule an appointment to meet us! Your schedule and routine are important. Our team works for you 'round the clock. Quality customer service and satisfaction are critically important. Therefore we always stay up to date. Key cutting and programming procedures change through the years. Call a professional locksmith. 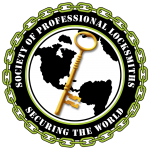 WHAT CAN A LOCAL LOCKSMITH DO FOR YOU? You may not think of a locksmith as you go about your daily life. No doubt you may know an electrician or a plumber. However, having a friend in the locksmith business can be very beneficial. Since car keys, smart keys, locks, and cars, in general, are subject to Murphy's law. Keeping a locksmith service on speed dial could come in handy when you least expect it. Our customers are treated with respect and dignity. Lock & key issues present themselves in a variety of situations. Keys broken in the lock are no challenge. Lost car keys can be replaced in no time. Does someone have an unauthorized copy of your key? Don't fuss about getting the key back. You need the locks changed NOW. Considering the local locksmith is available 24 hours a day, in the same way as other emergency services. Your locksmith needs. Met as they arise.